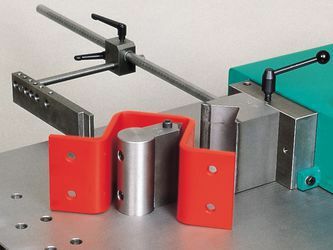 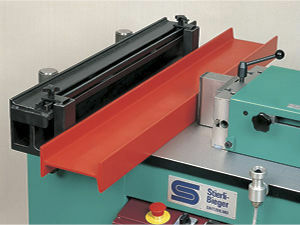 The Stierli-Bieger 120 HE is a very compact bending machine made from solid steel. 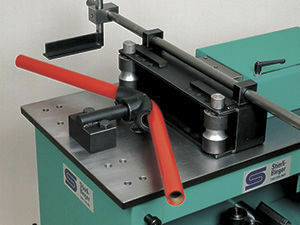 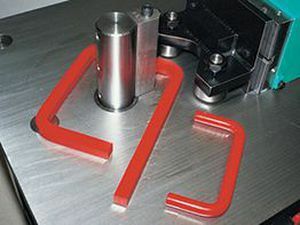 The bending pin with a diameter of 60 mm is inserted 110 mm into the plate. 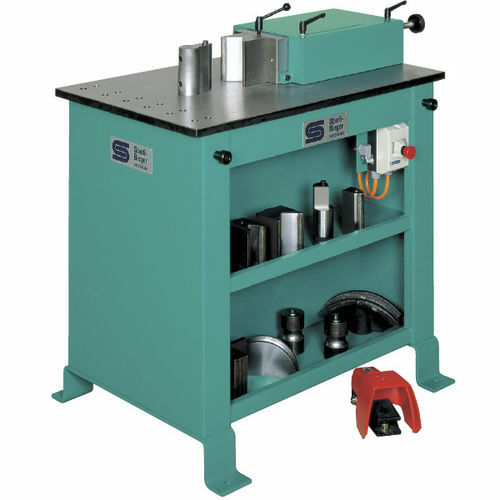 An extremely wide range of tasks can be carried out with the 130 mm tools.